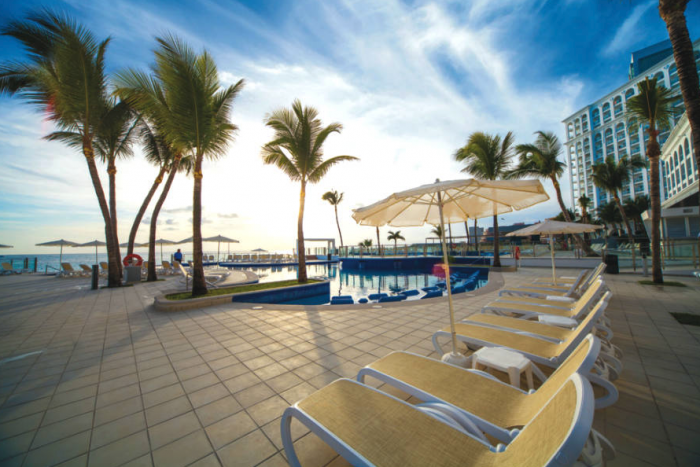 Located on the northeast coast of the Yucatan Peninsula, this is a beautiful beachfront resort. 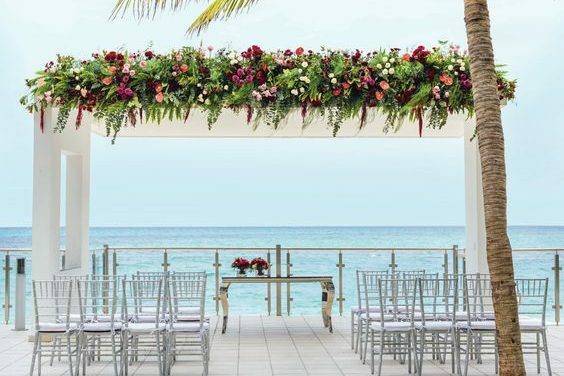 The resort is inspired by Mediterranean architecture, right up against the crystal clear waters of the Caribbean Sea, creating an incredible backdrop for the wedding ceremony you have always dreamed of. This resort will provide you with a fun and thrilling destination wedding, offering incredible nightlife and an adults-only nightclub. Take a 5 minute walk to downtown Cancun and explore all it has to offer from flea markets to nightclubs, and all the rich history. The resort will no longer accept US dollars, and does not provide currency exchange into pesos. The on-site ATM machines will allow you to withdraw pesos. Sun at the pool and beach can sometimes be blocked in the early morning and late afternoon due to the size and way the building is facing. The base price for this package is $2199. There is less expensive wedding package available to only the wedding couple that is $1299. Upgraded packages, additional guests, and add-ons are available for an additional cost. Beach – 60 guests max, Gazebo – 50 guests max. The resort will host no more than 3 weddings per day, Monday thru Saturday. Ceremonies can be held at 12pm, 2pm, 4pm, and sometimes 6pm. The wedding coordinators typically respond within 48 – 72 hours. During the resort’s busy season, they may take longer. Rooms range from $150 – $200 per person per night. Every room includes complimentary wifi and a minibar. The junior suite sea view room categories include a sofa in the lounge area. Children ages 2 and younger stay free. There are 569 total guest rooms all with views of the ocean, except for the double standard room categories. Connecting rooms are available upon request. The property is made up of one 14 story building. High-season months typically include January, February, March, April, May, and November. It is always encouraged to have your guests book their stay 6 – 12 months in advance. All rooms allow up to 2 adults and 2 children max, or 3 adults. Children are ages 12 and younger. 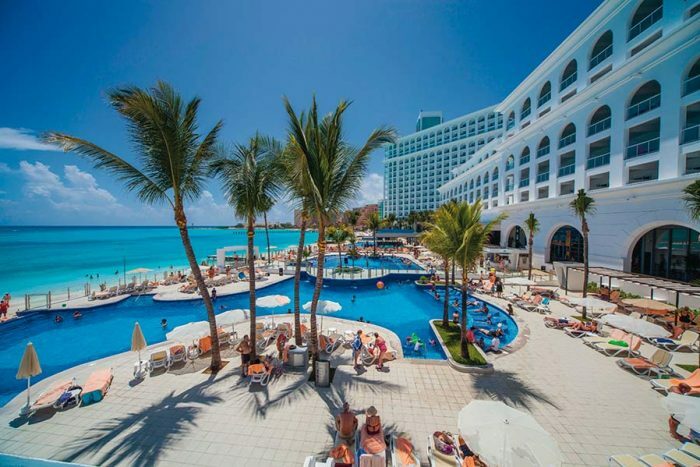 RIU Cancun is located about 13 miles from the CUN airport. The resort is about 10 minutes outside of downtown Cancun. The base price for this package is $2199. There is a less expensive wedding package available to only the wedding couple that is $1299. Upgraded packages, additional guests, and add-ons are available for an additional cost. There are 569 total guest rooms all with views of the ocean, except for the double standard room categories. Connecting rooms are available upon request. The property is made up of one 14 story building. 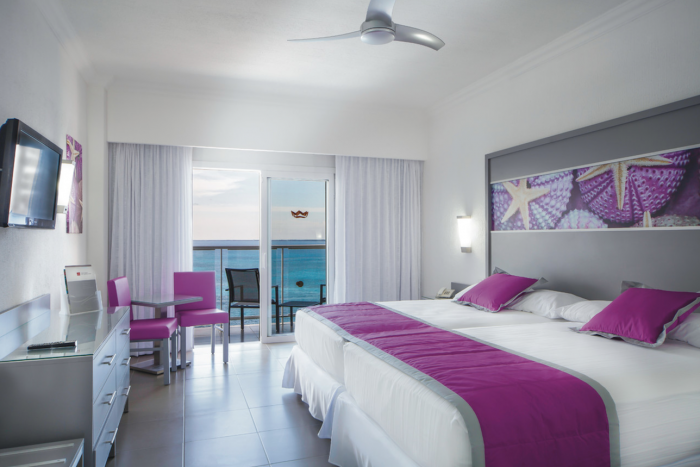 RIU Cancun shares exchange privliges with a nearby sister resort. A: The effort, challenge and commitment that we put each and every wedding, so that the guests remember their stay forever and want to return whenever possible. 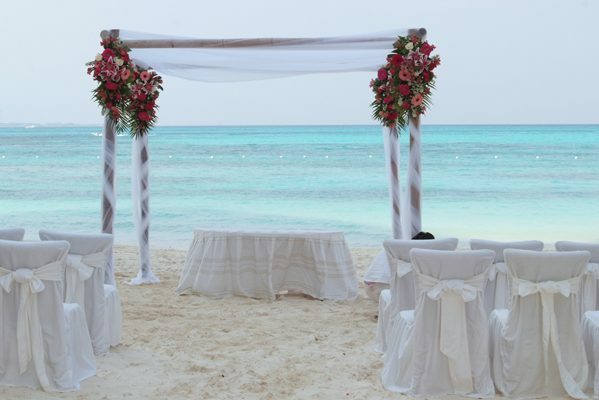 Q: What makes RIU Cancun such a great place for a destination wedding? 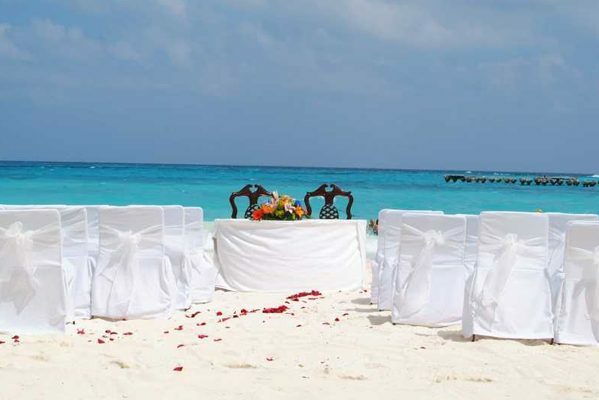 A: The all-inclusive makes it attractive to the guests, its location of garden facing the sea for the celebration of the ceremony makes it also special. 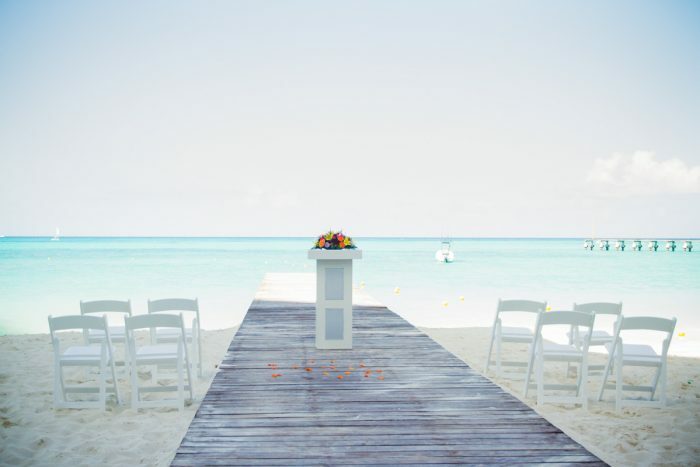 Q: What are the challenges brides face when planning their destination wedding at RIU Cancun? A: Sometimes the wedding couple want to have private dinner in outside venues but this represent add costs which some people do not want to pay for it.